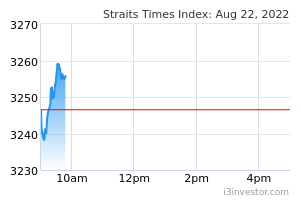 Micro-Mechanics net profit down 20% in Q2 amid global semiconductor slowdown. 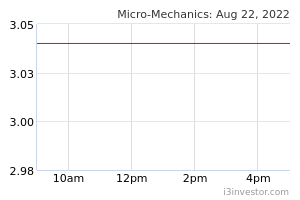 AMID moderation in the global semiconductor industry, Micro-Mechanics (Holdings) posted a 20 per cent fall in net profit to S$3.1 million in the second quarter ended Dec 31, 2018, down from S$3.9 million in the year-ago period. This was on the back of a 3.1 per cent fall in revenue to S$15.2 million, compared to S$15.6 million in the year-ago period. 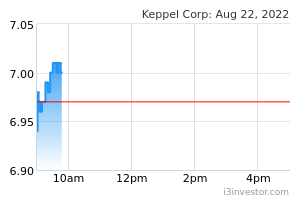 Keppel to sell 70% stake in Vietnam township project for about S$136m. KEPPEL Corp is selling a 70 per cent interest in a Vietnam township project to Nam Long Investment Corp for 2.3 trillion Vietnamese dong (S$136 million) in cash. Keppel Land, Keppel's real estate arm, is currently in the process of taking over complete control of Dong Nai Waterfront City LLC from its current joint venture partner in the project through a demerger. Keppel Land will retain a 30 per cent stake in Dong Nai Waterfront City after the sale of the 70 per cent stake to Nam Long. 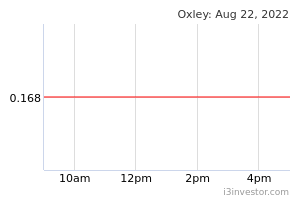 Oxley, partner to sell Dublin Landings residential units for 175.5m euros. OXLEY Holdings' wholly owned subsidiary, Oxley Docklands Quay Three Limited, and National Asset North Quays DAC have agreed to sell 268 residential units in Ireland to Greystar Europe Holdings for 175.5 million euros (S$270.8 million). The units are part of Blocks B and E of Dublin Landings, a mixed-use development situated along Dublin's North Wall Quay. The sale also includes external common areas and 210 car parking spaces. 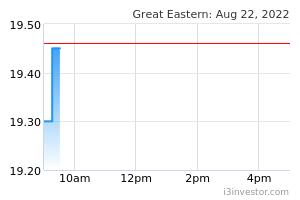 Great Eastern to sell minority stake in Indonesia insurance firm for US$1.4m. INSURER Great Eastern has entered into a share and purchase agreement to divest a minority stake in Indonesia insurance firm, QBE Indonesia, for some US$1.4 million. The buyer, PT Suryasono Sentosa, will receive a 5 per cent stake in QBE Indonesia following the transaction, which is subject to approval by Indonesia’s financial services authority, Otoritas Jasa Keuangan, and the Monetary Authority of Singapore.